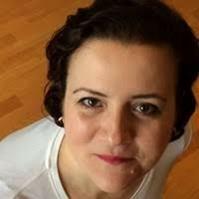 We are pleased to introduce Paola Scandurra, our resident a Personal Development Coach, Leadership, Training Consultant and NLP Trainer, in addition the newest member of the team. She is passionate about designing and facilitating learning solutions that stick by truly engaging hearts and minds of people. With her expertise, she helps leaders, individuals, teams make a positive difference, and to get even better at the job they have chosen to do. 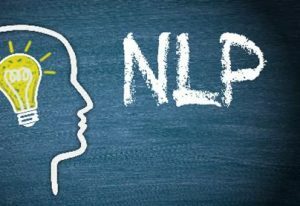 Given its full title – Neuro-linguistic programming (NLP) is an approach to communication, personal development, and psychotherapy developed in the 1970s by Richard Bandler, an American author and John Grinder , and linguist expert. Both Bandler and Grinder suggest there is a connection between neurological processes (Neuro-), language (linguistic) and behavioural patterns learned through experience (programming), to achieve specific goals in life. There are areas in our life that work well, make us feel happy, and fulfilled, and areas where we feel stuck, frustrated, anxious or worried. If we want to manage our over-thinking and emotions in a more productive way, if we want a better response / reaction in challenging situations or just understand why we may want to change that limiting habit, but despite our efforts, we see zero results, an NLP coaching session with Paola can support your mind-body wellbeing. NLP is a “user manual for the mind’, not a therapist, and it can help us better understand how our thinking patterns impact our mind-set and our actions, it teaches us about the powerful words and thoughts that affect every aspect of our lives and ultimately our motivation, choices and results. Can NLP work for you? To experience NLP, why make appointment with Paola at one our partner bases via our appointment line or email us.